The Mills House Wyndham Grand Hotel is a well-known built-in 1853 this Pink Hotel located in the heart of Charleston, SC about 300 feet from the 4 corners of the law makes this hotel very unique with many great qualities of what we call southern charm. With over 5000 Sq Ft of wedding and reception space, your wedding soiree can be just how you want to have it. By offering from there variety of indoor or outdoor possibilities, from The Signer’s Ballroom, The Planters Suite, 19th century Fountain Courtyard my fav, Barbadoes Room true southern chic, Hibernian Hall (adjacent) that alone is the true 1700 to 1800 wedding venue, and the Pool Deck. Again if you dream it you can create your one of a kind wedding soiree. The beauty of this venue is the very talented staff that starts with Alicia who oversees every aspect with her amazing team making you feel when you walk away breathless and wanting more. 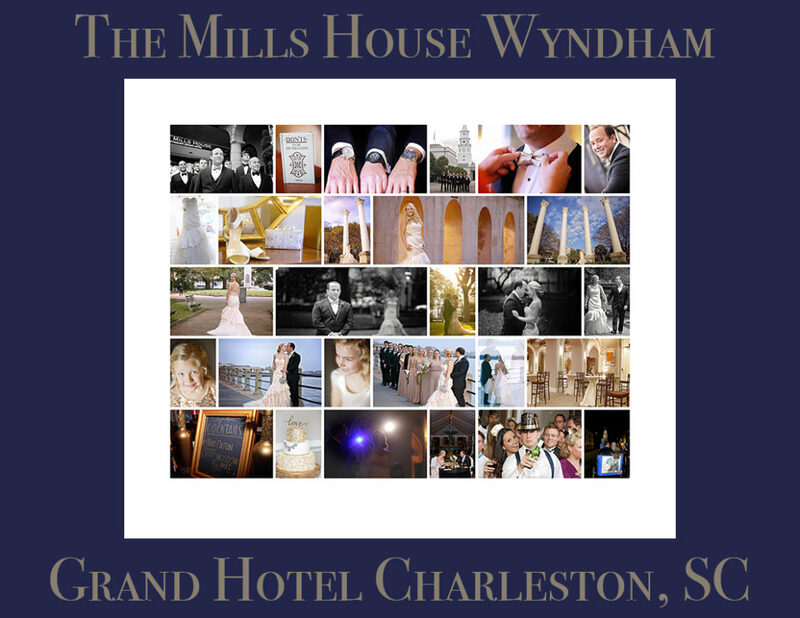 Yes if you are really searching for a true southern wedding venue you will often hear about this one of a kind Hotel The Mills House that has been in business for over 166 years (did I just say that)? Yes, you will always see praised wedding reviews that end like this. Thank you to the staff at the Mills House and especially to Alicia, for the outstanding hospitality. You were truly a joy to work with!! We look forward to coming back. I think it is time for you to pick up the phone and book this wedding venue. King Street Photo Weddings is a team of wedding photographers and cinematic videographers serving SC and beyond. We specialize in fine art, unobtrusive, timeless, perfectly captured both wedding images and videography. Are you planning a wedding? Click here to view our photography wedding portfolio, and here for our cinematic wedding portfolio or contact us here for availability and investment. Happy wedding planning!